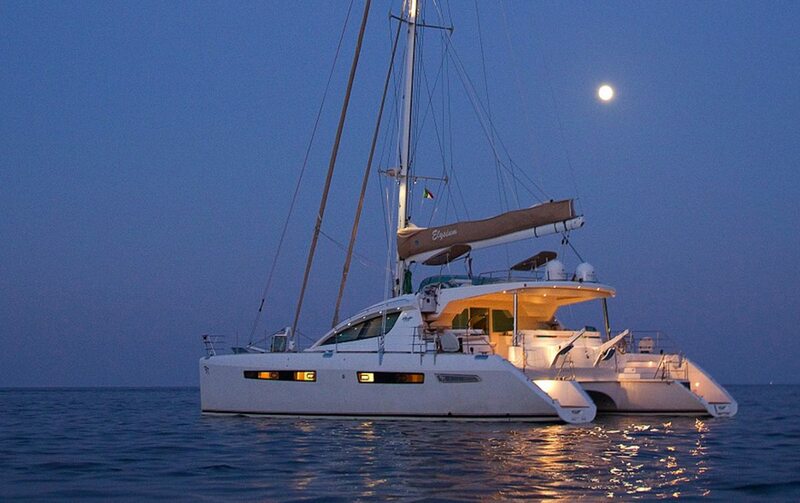 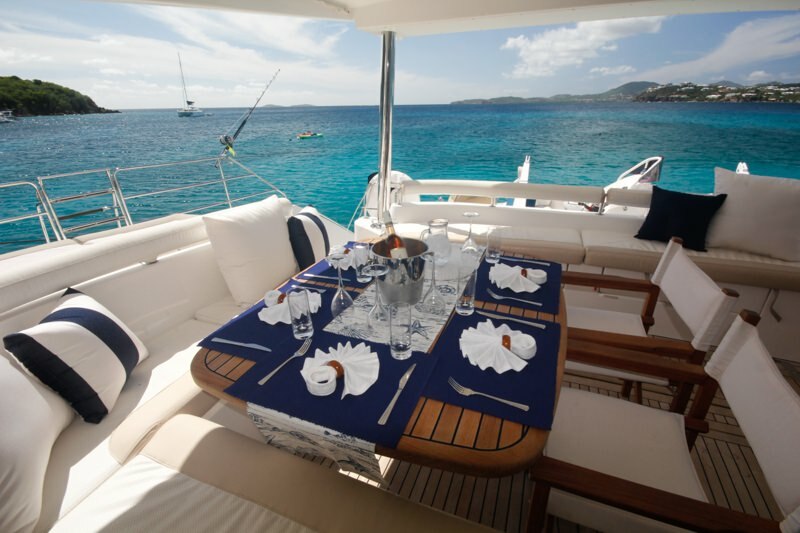 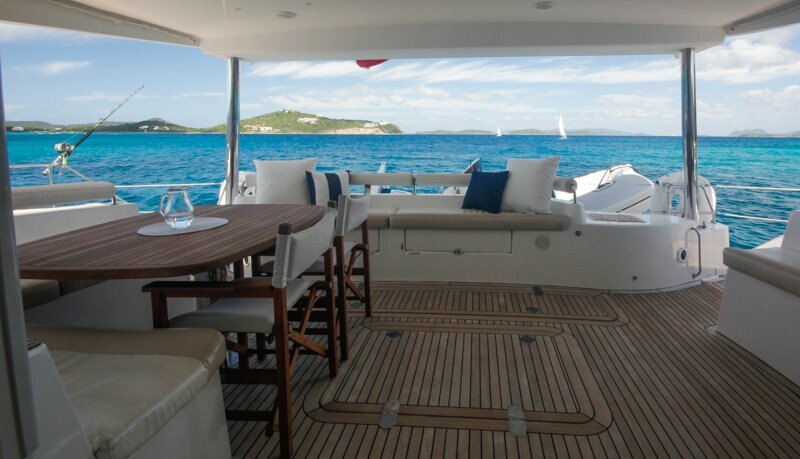 This fabulous yacht offers a multitude of lounging areas topside, aft deck and on the foredeck which has an optional shade awning when needed. 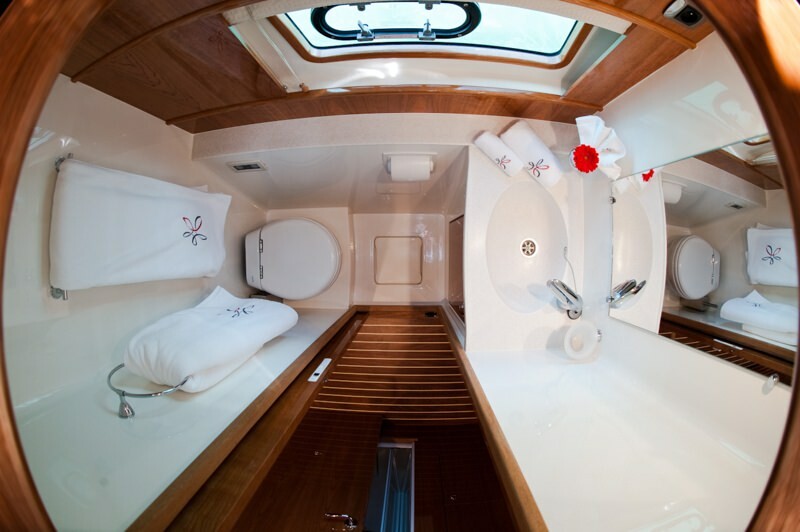 The master stateroom offers a king size berth with private head and stall shower. 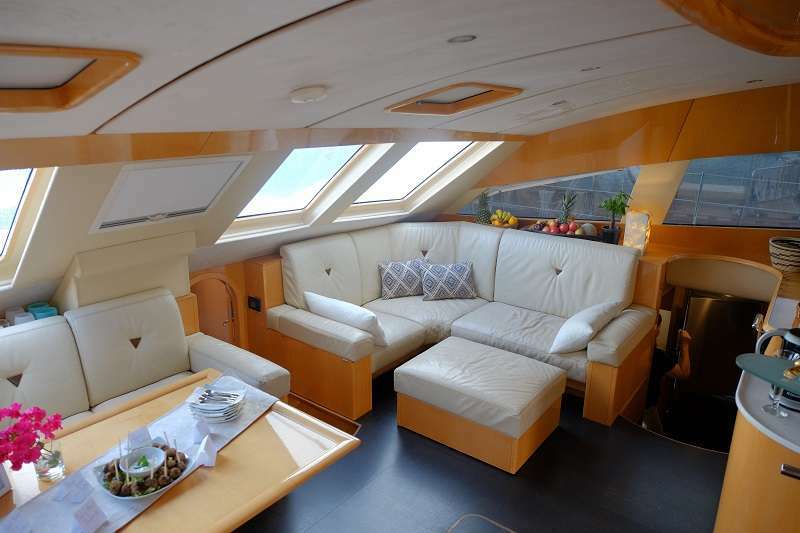 There are two VIP cabins with king berths, private ensuite heads and separate stall showers as well as a forward cabin with a twin berth, private ensuite head and wet shower. 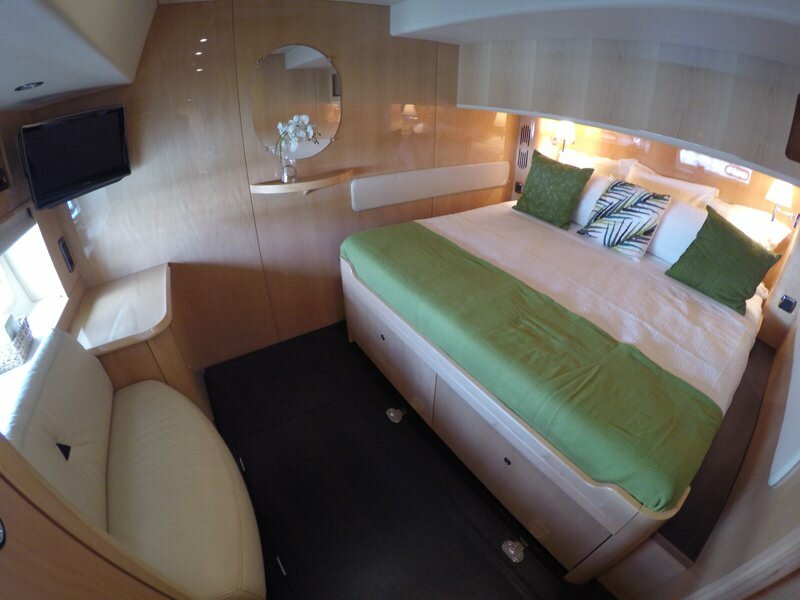 The twin cabin is accessible from the deck via a private entry and is perfect for a teen or single adult. 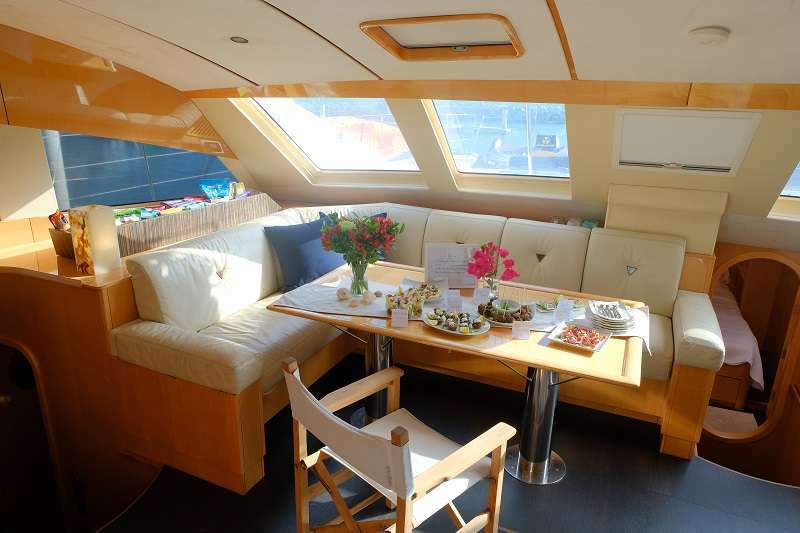 SPECIAL REQUEST ONLY 1 single plus cabin with separate entrance via ladder from deck with private head, shower and A/C. 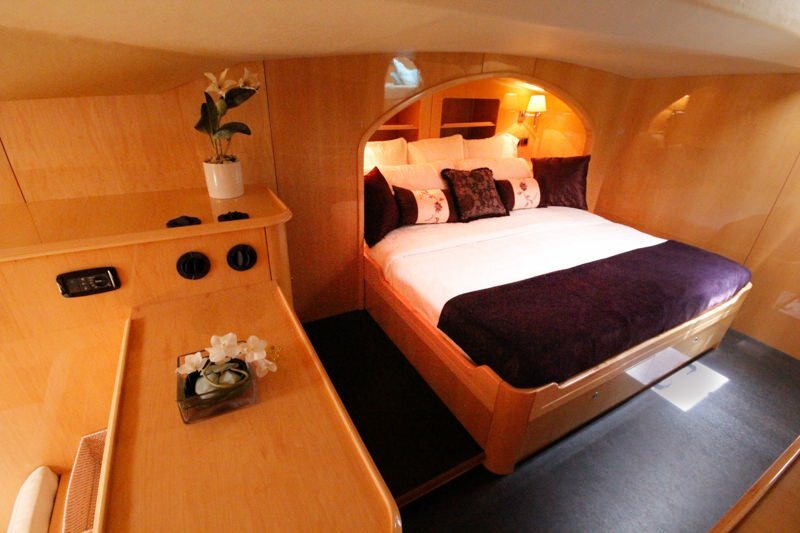 This cabin is only suitable for a guest aged 16 yrs or older.